Electrolysis is a hair removal technique that gets rid of individual hairs from any area on the body. This procedure is an alternative to most hair removal techniques, and it is the only permanent solution for hair removal on the market. The electrolysis device destroys hair at the follicle or growth center with chemical or heat energy. Unwanted hair growth is hereditary and can only be permanently stopped with electrolysis treatments. Electrolysis takes multiple treatments to be effective because it is permanently destroying the hair follicle. Visits vary from person to person, but most clients return once a week until the procedure is completed. Each procedure lasts from 15 minutes to 1 hour, depending on the location of the body hair and the density. There is a common myth that electrolysis is a painful procedure, but it only causes mild discomfort at the most. Modern techniques have significantly reduced the pain to a slight tingling sensation. A topical anesthetic is available for clients with sensitive skin. 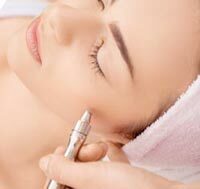 It is essential to find a renowned salon that provides electrolysis is Staten Island. Staten Island is a popular place for hair removal services, and there are many shops. Do your homework and find a hair removal salon that provides hair removal in Staten Island.